In the whirlwind of news about flagship phones with more cameras than fingers on your hand and as much RAM as an average desktop computer, it's easy to forget that not everyone needs all that computing power and the huge displays that usually come with it. Some people have very basic requirements for their smartphones. For those that aren't constantly glued to their device and don't feel like spending hundreds of dollars on a smartphone, comes the Alcatel 1x Evolve. 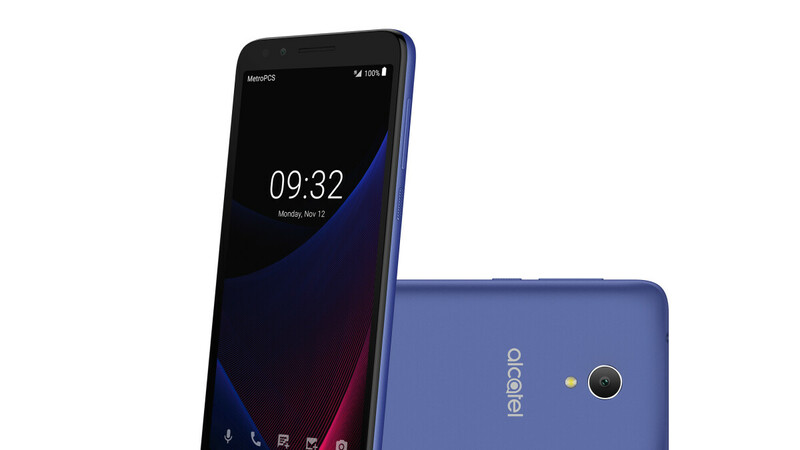 Coming from the Chinese electronics giant TCL, the Alcatel branded 1x Evolve is a humble device that won't wow you in any way, but that doesn't mean there isn't a place for it on the market. It comes with a 5.34-inch display, almost shockingly small for 2018, but sporting the 18:9 aspect ratio, making it a very compact and easy to hold device. Inside you'll find a quad-core MediaTek chipset paired with 2GB of RAM, not too bad for a budget smartphone. The storage, however, might give you some anxiety with 16GB on board, only 9 of which are available to use, the rest is reserved for the Android 8.1 operating system and other software (of which there is a lot). It does support microSD cards though, so at least you can add some extra space for your photos and music, for example. Speaking of music, the Alcatel 1x Evolve has a 3.5 mm headphone jack, beating $1000 smartphones in at least one category. The same can't be said when it comes to the phone's cameras. The main one has an 8MP sensor, while the selfie shooter stops at 5MP. If we had to guess what the quality of the pictures will be, we'd say during a bright, sunny day the photos will look good enough, but as lighting conditions become more challenging, the results will probably deteriorate rather quickly. But let's not forget where this phone is positioned on the tier list — right at the bottom. The Alcatel 1x Evolve will be available exclusively to Metro by T-Mobile customers starting December 10. There is no information about the price yet, but it should be below $200 by the looks of things. And while it probably won't replace your daily driver, it's a perfect fit for kids or seniors who won't use their phone for much more than skyping with their relatives.